arrow_backPrevious Nextarrow_forward Along the Cassiopeia Road Fall Break 2019-SOLD OUT! Reserve by May 1st, 2019- SAVE $50 PER PERSON! “Along the Cassiopeia Road” is named after the famous night train that operated between Ueno Station in Tokyo and Sapporo. This luxury train, the Cassiopeia, a Japanese version of the Orient Express made its debut in 1999 and completed its final journey on March 21st, 2016 with the launch of the Hokkaido Shinkansen. While not quite the same path, join us on this unique tour as we journey from Hokkaido’s northern capital, Sapporo to Japan’s southern capital of Tokyo. 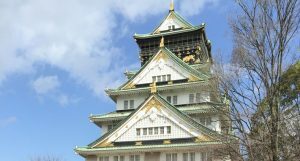 Visit Sapporo, Otaru, Lake Toya, Hakodate, Aomori, Morioka and ending with three nights in Tokyo. With the start of the autumn season, appreciate nature as the hills begin to show their foliage colors and the slow transition into winter. It is a fall school break tour like no other, come join up on this unique 8-night journey “Along the Cassiopeia Road”. Enjoy the best of Japan’s transportation modes, the bullet train, boat cruise on Lake Toya and a mountain ropeway experience. Enjoy hands-on experiences, music box making in Otaru and kite painting in Tsugaru. We will also be visiting a sake brewery and 2 fish markets. In Tokyo, we hit the right spots for touring and omiyage shopping, Tsukiji Outer Market, Ameyoko Shopping Street, Asakusa, Sugamo Shopping Street on the 4 Festival, the antenna shops and then time at the biggest Daiso in Tokyo! There’s also a complete free day at the end to shop or explore on your own. In flight meals, breakfast daily at your hotel and 4 lunches and 2 dinners. Final payment due by August 20, 2019. Package is non-refundable after this date. Starting from $3,695 per person double or triple occupancy. Starting from $4,095 single occupancy. 10/05/19 – Depart Honolulu on Hawaiian Airlines flight 441 at 12:15 pm and arrives in Chitose at 5:00 pm, 10/06. 10/14/19 – Depart Narita on Hawaiian Airlines flight 822 at 9:00 pm and arrive in Honolulu at 9:30 pm (same day).